Of course that is not the only (or even the original) definition, but it is the one that resonated with me the most. 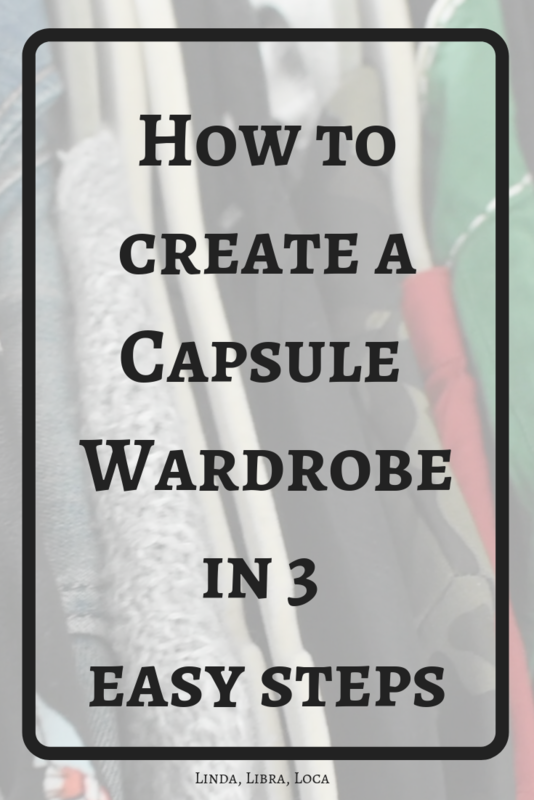 Why would you want to create a Capsule Wardrobe? Why wouldn’t you? A capsule selection of clothes that help you look as if you put some thought into your outfits when in all honesty you just picked what was clean while still half asleep. A wardrobe filled with clothes that fit you, that you love and that work together! Before you continue reading, let me quickly link the video I created throughout the process, as I thought it might be fun to see what is actually involved in the process. And what “gems” I found in my drawers. I mean seriously, what was I thinking? 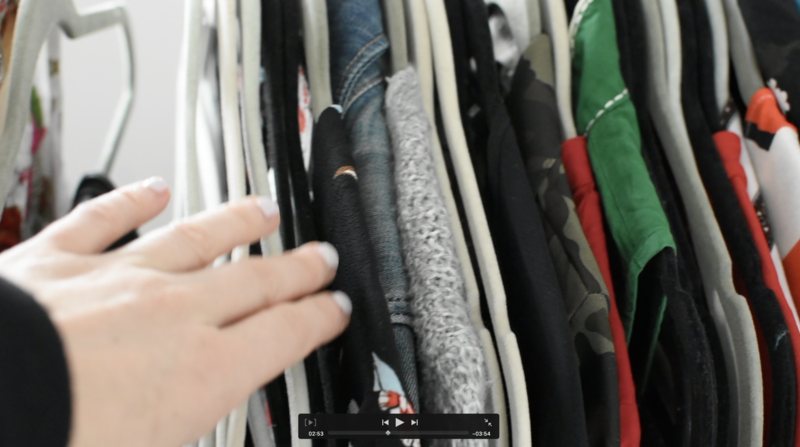 So if a Capsule Wardrobe is all kinds of awesome, why didn’t I start it sooner? I had a few reasons, and I think that many of you struggle with the same things, so let’s talk through them. I had no idea where to start and the thought of “doing research” felt incredibly overwhelming. If you know where to look, the research is actually the fun part. Because where do you find the best resources on the topic? On You Tube and on blogs. Any excuse for a You Tube binge watch, am I right? So no matter if you are more into reading or into watching, just type “Capsule Wardrobe” into the search bar and allow yourself to get lost. 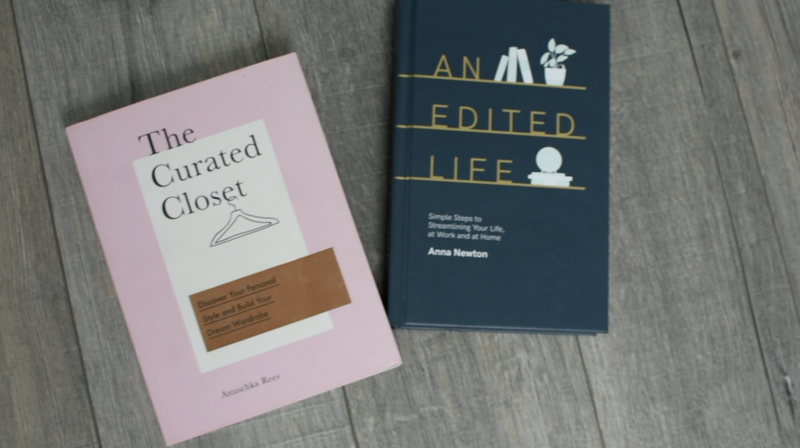 And if you actually want a real book, my pick would be “The Curated Closet” by Anuschka Rees, a Berlin based fashion blogger that doesn’t talk about a Capsule Wardrobe per se, but about a consistent and, well, curated closet. So I kept waiting. For the last few kilogram to drop, for my stomach to tighten, for that magical change that would transform my mom body back to my pre baby body overnight. Guess what? It didn’t come, and seeing that my youngest turned three in March 2019, I guess it is time to stop hoping for it. Yes, my body might change again in the future. But why not spend the time until then in clothes that fit me and that I enjoy? The mom body struggle is real. Absolutely not good. If someone tells me that these are the rules I need to stick to, I get the urge to break them. And isn’t a Capsule Wardrobe all about the rules? No. It isn´t. The more you look into it, the more you will see, that while there are rules to start from, you are actually encouraged to adapt them to your own life. 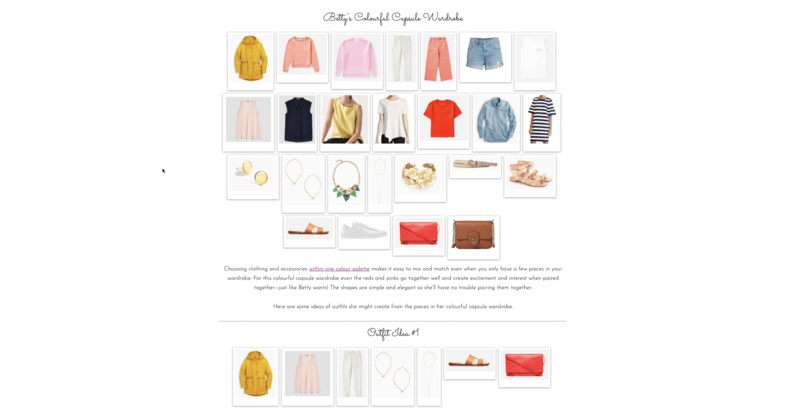 No need to stick to the 28 pieces you will see on Pinterest, a Capsule Wardrobe can range from 15 to 150 pieces or, what I decided on, no exact number of clothes at all. Same goes for the base to top ration, for the question what counts toward your Capsule Clothes and what doesn’t… The possibilities are endless. And a Capsule Wardrobe is made up of skinny jeans and striped tees. Except that no, it isn’t. Or at least it doesn’t have to be. 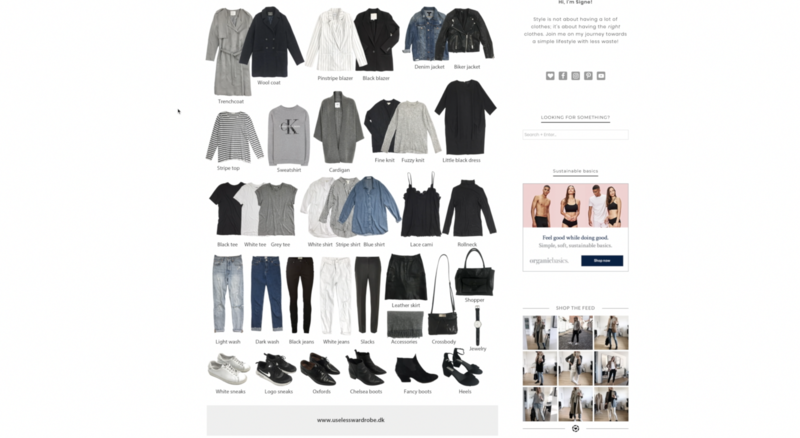 Yes, as minimalism and Capsule Wardrobes go hand in hand, you will see a lot of monochrome wardrobes that contain exactly that (no shade here, I love a good skinny jeans and striped tee combo), but there is so much more! Colorful Capsule Wardrobes where pink is the neutral, ones that combine different patterns, basically anything is possible. I really don’t. I mean, I have two kids and a mortgage, and on top of that a passion for travel and high end skincare – I can´t just go and shop for new clothes. Turns out I am not supposed to anyway. At least not at first. To get a feeling for what you really need, you first need to access what you actually have. I mean, you haven’t been actually running around naked until now (at least I hope you haven’t), so you do have things to wear. The trick is to clear out your current wardrobe and live in what you have for at least six weeks, to identify the gaps. And then thoughtfully filling the gaps with selected items that fit in with what you already have, one piece at a time. Yes, these purchases may be more expensive than your average impulse buy, but if you end up wearing them, that will be worth it. Oh, and thrift shopping is an option too. So after we stated that I was wrong in every single assumption, let me walk you through what’s next. And the emphasis is on current here. Not the lifestyle you would like to have, or the one you had before you had children. Exactly how you spend your days, weeks and months at this moment in time. 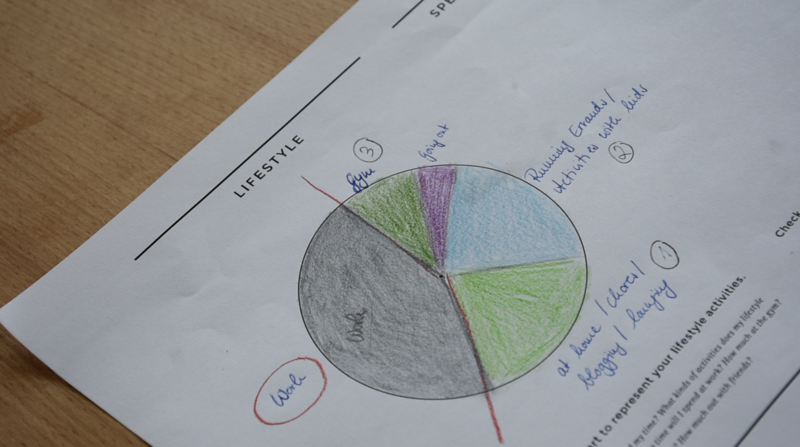 I used a pie chart to draw in just how much time I spent on which activity throughout the month, and frustrating enough, the main part of it was “work”. Which is a problem, because I dress quite formal for the office and really can´t see me incorporating the pieces I wear there into my everyday life. So – your wardrobe, your rules – I decided to exclude my work wear from my Capsule and focus on what was left instead. Which is mainly “running errands/kids activities” and “chores around the house/blogging/lounging”. Seriously, my life is rock and roll right now. Isn’t that a depressing work life balance? That might be easy for some, but I for one had no idea who I wanted to be when I was dressing. I just knew who I currently was, the “mom that doesn’t have time to give a sh*t”, and that I wanted that to change. 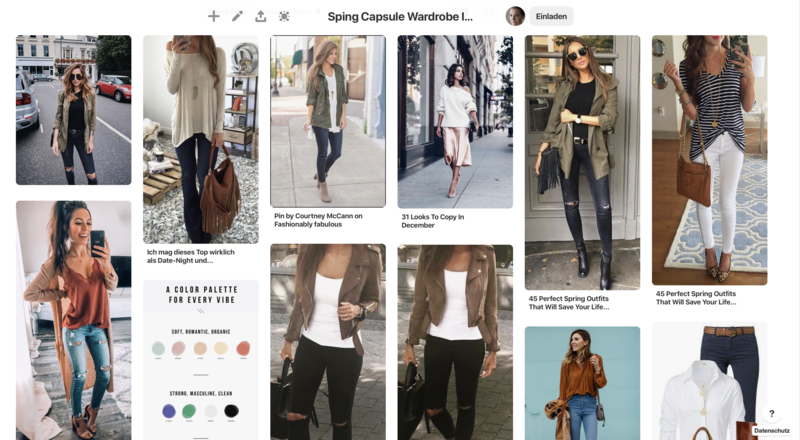 So I created a Spring Capsule Inspiration Board on Pinterest. (Here is a link to my profile) If you are not into Pinterest, you might want to use the “save” section of Instagram, a classic mood board pinned to a wall in your room, whatever. To begin just pin what you like, don’t let yourself restrict you by what you think you would wear or what might suit your body type. First of all it matters less than you think, and second the aim is to get a feel of the style you enjoy, not to copy the outfits one by one. My pinned people are about two sizes smaller and 20 years younger than I am, but once I had a variety, it allowed me to take a step back and look for an overall theme. What I found was: Dark, high rise denim, feminine silhouettes, blouses/button ups, statement colors and prints as well as a ton of off the shoulder tops. Casual, a hint of 70s and a good mix of classic, yet playful. Surprisingly all clothes that would fit my current lifestyle! Everything out. Everything! All the drawers, the under bed storage, the box from the basement – dump it all on the floor. You will be surprised what you might find, I had at least two piles of clothing I didn’t even remembered storing! WTF: All the clothes that don’t fit anymore, never really fit and that really don’t work with your current situation. Depending on their state you can either donate them or sell them to earn a little money to invest in new purchases. Love, but out of season: The fake fur vest, or the airy tank tops. Anything that still fits, you still like, but that will not get worn within the current season. 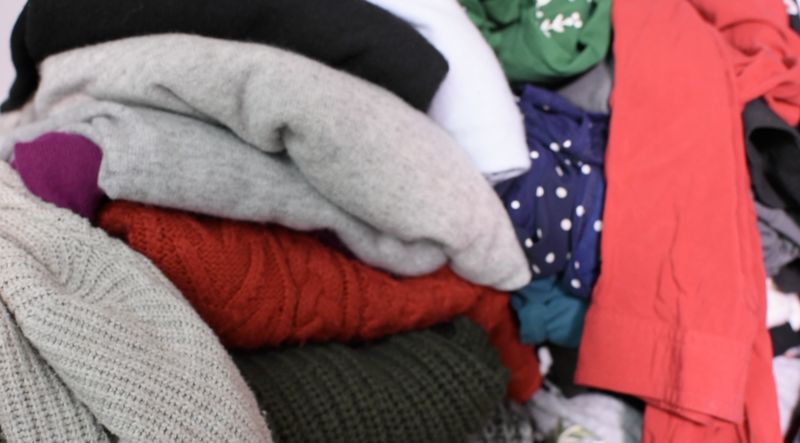 Store it under the bed or in a suitcase in the basement, or at least put it into a corner of your wardrobe where it doesn’t interfere with your seasonal clothing. Love, and in season: That one is self-explanatory. Hang it back in your wardrobe. Maybe/emotional: I felt like I needed that one for clothes that had a special meaning or that I just wasn’t sure of. Go through this pile again and again, compare the things you have in there against the clothes you already have in storage/ back in your wardrobe, and once you feel like you can´t pare it down anymore, store it. I plan to revisit these clothes occasionally to see if they still hold emotional value for me, but for the moment it just helps me to know that I don’t have to throw out the sari I bought when I did my personal “Eat, Pray, Love” in 2012.
Who knew I had SO MANY clothes? You are done. 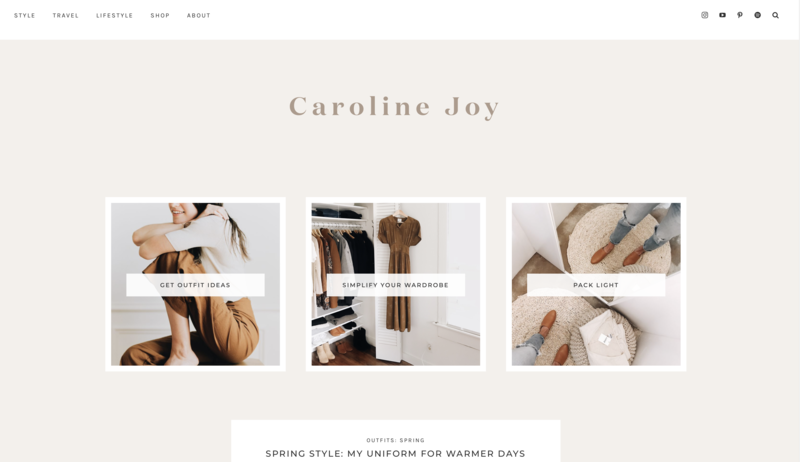 You build your Spring Capsule Wardrobe, and the only thing left to do is wear the clothes that are inside. Keep track of how often you reach for each item. That can either be roughly in your mind or by actually writing it down. Take pictures of the outfit combinations you come up with and note how you felt, what you liked and what you disliked about the combo and the individual items. Write down what is missing on a separate list. Compare your outfits to identify “uniforms” that work well for you. Compare your choices to your mood board and see what you need to change to get closer to your style goal. Which is where I am currently at. So please let me know, would you like to see more posts on that topic? And do you plan to create a Spring Capsule wardrobe as well?